TELL US A BIT ABOUT CHEBOGZ – WHAT ARE YOU GUYS ALL ABOUT? 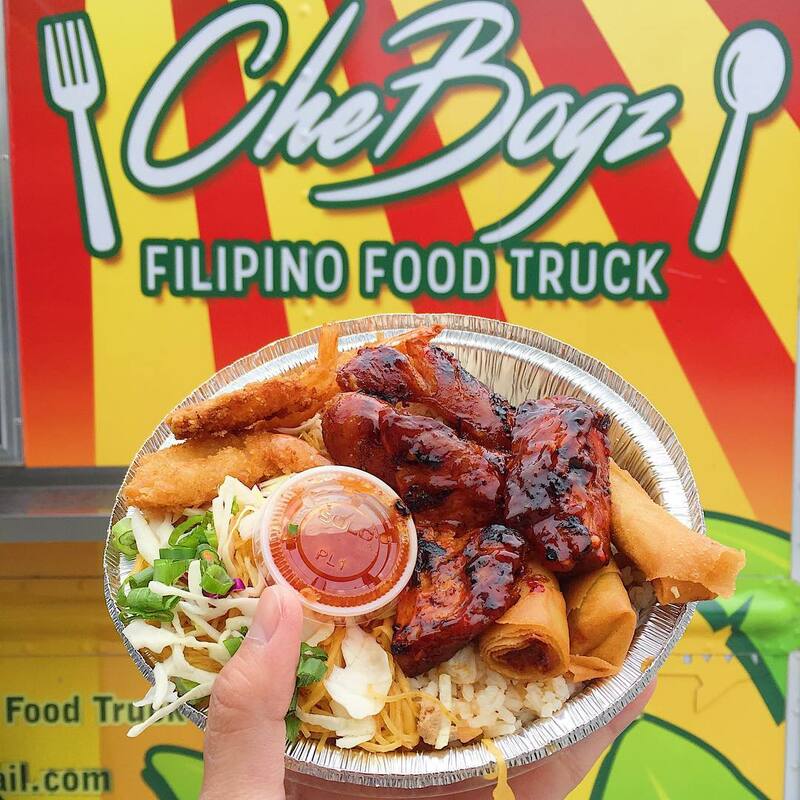 Chebogz is a family owned and operated food truck! 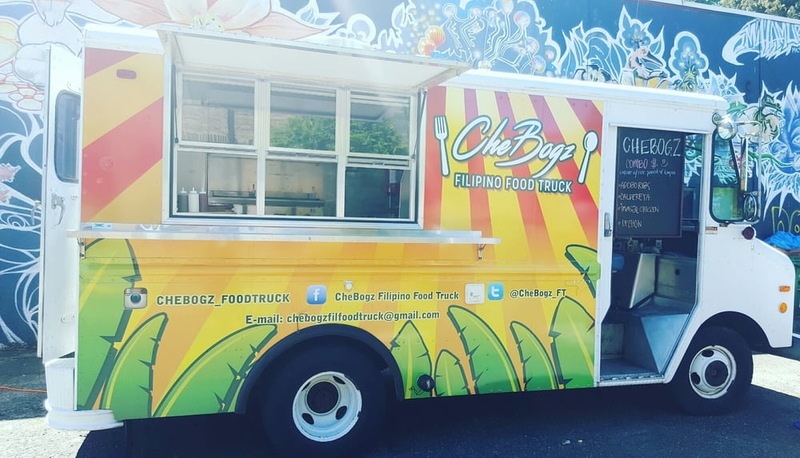 We sell authentic Filipino food based off our family’s recipe that has been passed on from generation to generation. My grandparents used to own a tiny restaurant in Manila (Philippines), where they served mostly middle class labor workers. As a family, we wanted to make sure that we serve the same way my grandparents did and always have our food affordable and filling. 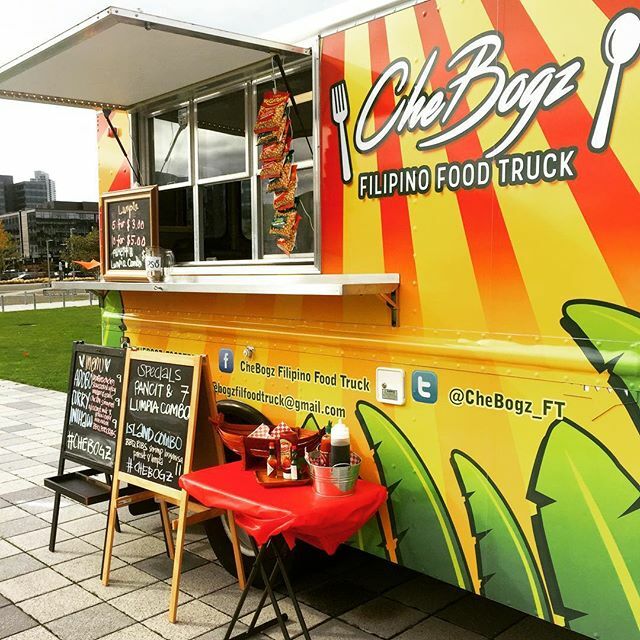 We want to introduce Filipino food to local neighborhoods in Seattle since we know it’s not as commonly known like Thai, Vietnamese, and Hawaiian, etc. We would have to say our favorite location is Starbucks HQ. Since we first started in this location, we have had amazing experiences! We’ve learned so much from operating at this location and the customers have certainly helped us with their patience and loyal support. For the past year and a half, we’ve always enjoyed serving at Starbucks HQ because the staff there seems to have a greater appreciation of what we do. Working for a company that is very customer service oriented, the staff there knows how difficult it could be sometimes to operate a food establishment especially with very little space. 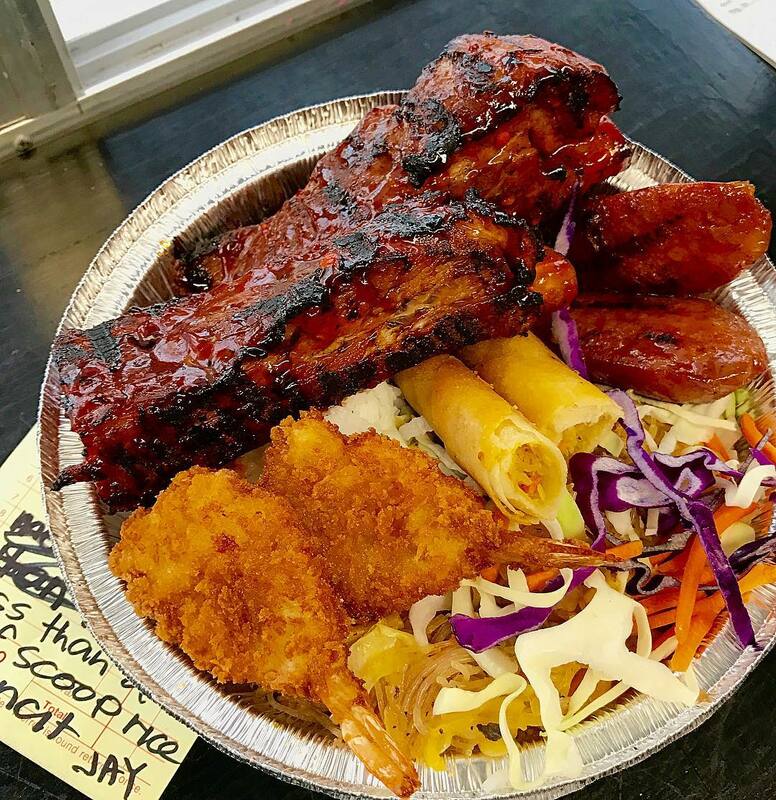 The most popular item we have on the menu would be our appetizer, Pork Lumpia (Egg Rolls), then the Inihaw (Grilled Pork Spare Ribs). This plate is always served with steamed white rice and Pansit, which is a noodle dish cooked with veggies and chicken broth. I think the biggest struggle we’ve had to deal with is the accident we had on February 2nd 2017. We were down with operation for a month and half which was a lot given we just started the summer before the beginning of that year. Another experience we had that really tested our family was the engine problems that resulted to legal issues against an auto shop in Bellevue. It was a very expensive fix that cost about $8,000 and a loss of about $15,000 of sales. 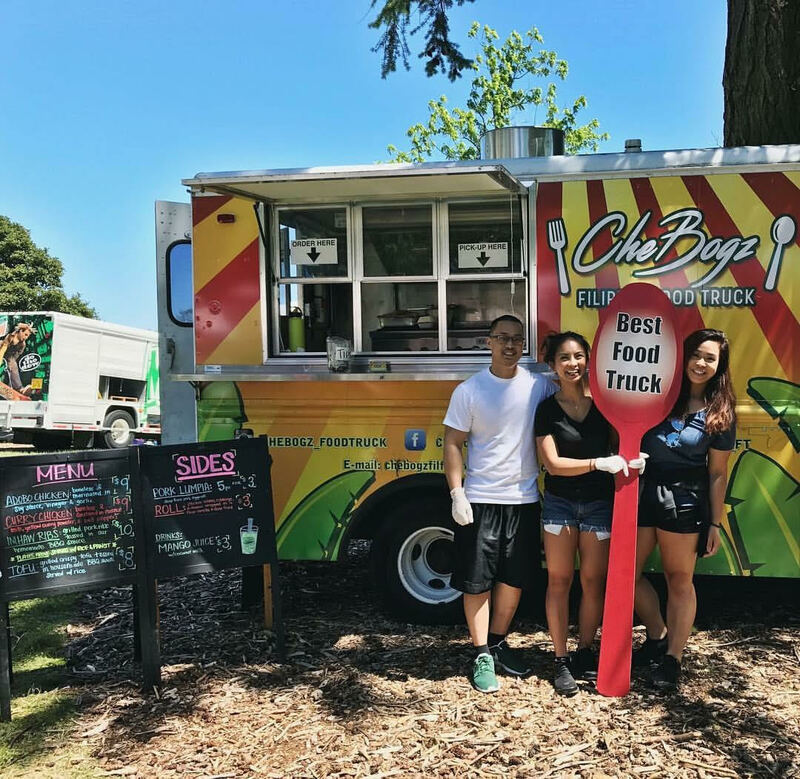 Do not get discouraged by the process of starting a food truck. Yes, it’s not easy work but if you know that it’s something you are passionate about DO IT! Life in the food truck industry is a continuous learning process. The most important lessons are learned from making mistakes so when it feels like the sky is falling, just keep your head up and find the way to fix the problem rather than dwell on it. Hopefully a brick and mortar spot in the next couple of years! We want to have a small but accessible place for our customers to enjoy are food at in the same affordable price in a much more warm, cozy and permanent location. I’d love to have dinner party with Where You at Matt, People of the Chubbs, and Nosh staff! They’ve always been super friendly to us! And we absolutely love their food! !